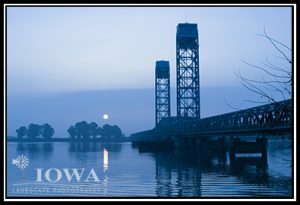 Born and raised in California… with a pit-stop in El Paso, Texas… I now reside in eastern Iowa, and consider Iowa and the mid-west as my home. I have had the good fortune to see much of America as well as other countries and continents, and have been pleased to discover the natural and often overlooked beauty that is the American mid-west. While I have always had a camera of some type for almost four decades now, I didn’t get serious about photography until 2000, and I jumped in with both feet. Film, initially, and I developed (no pun intended) a fondness for Kodachrome and Fuji Sensia slide films, which I thought produced better prints and better colors overall. While I did have a California-oriented website (that is now defunct) that offered images for sale, my photography was really only a hobby. 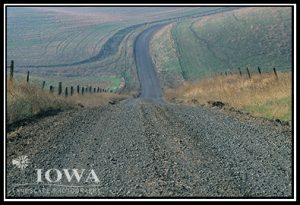 I moved to eastern Iowa in 2005, and purchased a bunch of medium format gear. I loved my Yashica-mat LM square format camera and my Pentax 67II, which I described as a “giant SLR”. A couple years later I started the first version of my Iowa website, as well. In about 2010 I felt that I was spreading myself too thin with too much equipment, so I made the decision to sell all my film equipment and focus (still no pun intended, maybe) solely on digital. This included selling my beloved medium format gear, but I had to go all the way or not go at all. Fast forward to today, and as I mentioned in the beginning, here we are. My interests have expanded far beyond just night and low-light photography. Shooting people is still not my forté, but I have expanded into macro, general landscape, seasons, and even some flowers on occasion. With that, I maintain that I will never… ever… shoot a wedding. So far, I have maintained that goal.